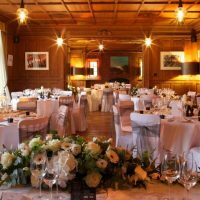 Nestled in peaceful Worcestershire woodland, the grade II listed Wood Norton offers an elegant venue for civil ceremonies and wedding receptions. For up to 180 guests. With a fascinating history that stretches back to 1897, this stylish stately home still retains many of the original features. Grand fireplaces and wood paneling and carvings are complemented by luxurious contemporary furnishings to create a romantic and welcoming atmosphere. Surrounding the mansion, you find extensive grounds that include exquisitely manicured lawns, formal gardens and the Tattinger Dining Terrace. Warm lighting, wood paneling and sumptuous furnishings create a cosy atmosphere in the Hall restaurant. 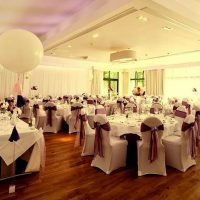 Perfect for more intimate gatherings it is fully licensed for civil ceremonies. 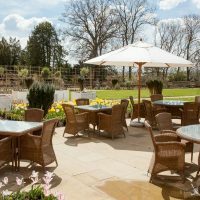 For larger celebrations, the Orangery provides space for up to 120 seated guests or 180 evening reception guests. Situated opposite the main hall of the hotel, this new build incorporates full frontage windows which afford stunning views towards Bredon Hill and its surrounding countryside. Neutrally decorated it provides a blank canvas that is customisable to your personal tastes and style. In warmer weather, take advantage of the sunny private terrace and the air conditioning. Additionally, enjoy year-round complimentary high-speed WiFi and in-built projection and sound system for your speeches and announcements. 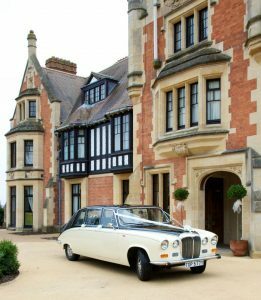 For couples who want to enjoy a stress-free ceremony, The Wood Norton offers set packages including special offers. Save time and your own sanity by letting the dedicated events team arrange everything from venue, accommodation, food and drinks as well as a host of other beneficial features. Choose from a broad selection of over fifty rooms and suites to suit your budget. Each room is beautifully furnished and offers a range of modern conveniences. 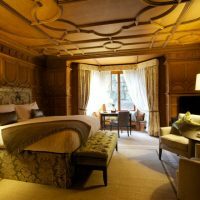 From four poster beds and wood paneling, through to the romantic balcony in the Princess Louise suite, every room has its own distinct character. To discuss your needs please call or use the online enquiry form.